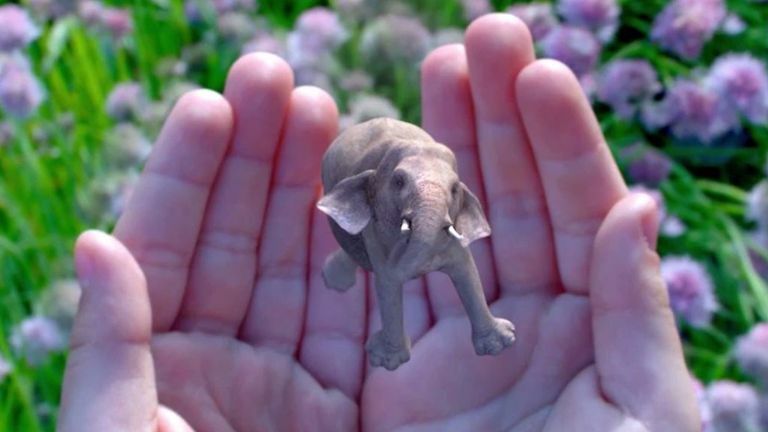 Magic Leap: just why is this super secretive tech company valued at $4.5 billion? Something to do with a game-changing 'photonics chip' perhaps? You may have heard that virtual reality, usually seen through an all-encompassing headset, is the Next Big Thing in tech, but it could well be augmented reality—or “mixed” reality, as some call it—that ends up coming out on top. Unlike virtual reality, which substitutes what you would see with a computer-generated version, “mixed” reality does just that: it mixes reality, the things you see, with computer-generated stuff, like robots, jelly fish, or an iOS-style user interface. Various companies are working on an augmented reality headset, including Microsoft, which recently started shipping HoloLens to developers. The final hardware, however, is not expected until later in 2016, possibly early 2017, and so consumers won't be able to experience what AR is really like. The other big company that is working on AR technology—which they refer to as “mixed” reality—is Magic Leap, a Florida-based startup that is as strange as it is impressive. T3 briefly touched on Magic Leap back in January, when we included the company in our roundup of the best tech startups you haven't heard of yet, however since then, things seem to have really gathered pace. According to CrunchBase, which collects information on startup funding rounds, the company has raised over $1.4 billion in three separate rounds, the latest of which valued the company at around $4.5 billion. This crazy fundraising has come from Google, Alibaba, and a host of top-end Silicon Valley investors. While this may seem normal for a much-hyped startup, it may surprise you to learn that Magic Leap has never shown off a product to the public. Ever. It has had a lot of press attention, though, the most recent profile, from WIRED, sheds light on an otherwise secretive startup. If that sounds confusing, it's because it is. Magic Leap refuses to disclose how, exactly, it works and no one any publication has ever interviewed has elaborated on that. Until people get their hands on it, the “photonics chip” remains a mystery. The mystery extends even further because no one, besides Magic Leap employees and investors, has ever seen a working headset. In fact, the company won't even confirm that the final product will come in the form of a headset, adding another layer of speculation into the mix. The people who have tried it, however, are very positive, describing it dissimilar to anything they have experienced before. One thing that is clear is that Magic Leap will launch with a whole host of content, much of which will be tailored to the headset. Various game studios have signed up to create games and content deals—for things like movies, TV shows, and so on—are being signed, according to WIRED. If Magic Leap does achieve its goal, then it could be the first mixed reality headset to do so. There are some subtle differences between mixed and augmented realities, with the latter tending to “lay” stuff onto surroundings while the former “mixes” the person into them. The focus on fun means the headset is closer to the Oculus VR than Microsoft's HoloLens, which has been demoed doing work-focused tasks. It remains to be seen, however, if “mixing” yourself up in a game is better than simply being all there, as Oculus does. Facebook, which bought Oculus for $2 billion last year, has been promoting VR heavily and Google announced a new platform for the technology at its I/O 2016 keynote event, which was held this week. Ultimately, Magic Leap's secrecy means no one can accurately judge the technology without trying it, and the world is unlikely to see it anytime soon. Those who have tried it, however, seem bullish and so it may live up to the hype, but only time can tell.